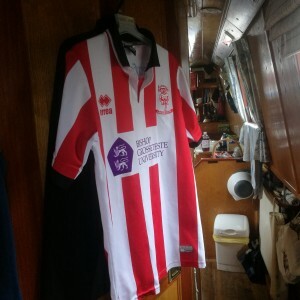 Narrowboating Chick | Late August is Fine for Me. We were woken at 5am by the loudest, honkiest horn I have ever heard! Meeeeeeeeeeeeeeeeerrrrhhhhhhhhh… It sounded like the QE2 was on its way! However, it wasn’t and all we could figure out is that it was a lorry from the yard across the way. Still, we don’t have skill for sleeping for nothing so we all drifted back of to sleep until at least 8am. 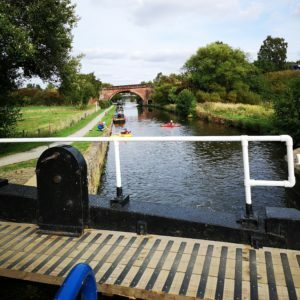 With no plans and no deadlines, we eventually got cruising at about 9.30 and had a glorious cruise towards Castleford. The engine even ran better than last night and we weren’t plagued by a knocking noise and the white cloud of unburnt diesel. The sun shone and the water twinkled so we just cruised and cruised. 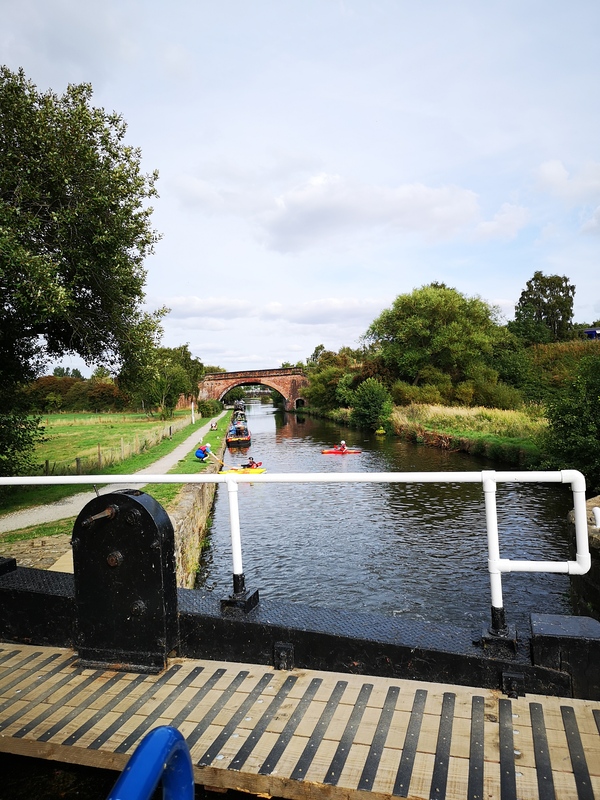 On to the River Calder at Castleford and a charming (not) encounter with another boat. They caught up with us at Fairies Hill and were keen to be as brisk through Woodnook. We did the gate opening and they did the gate closing. Consequently we were out first and on the cruise to King’s Lock, I could *feel* that we weren’t going fast enough for their liking. No matter…. We were moving at a brisk enough pace. Kings Lock was just starting to refill, so we reversed the process and emptied it quickly. At this lock, there was no offer to do the other gate and the pleasantries had all but dried up. Once the gates were open, they set off up the cut like a scalded cat! I had my thoughts that they were making a quick getaway and sure enough, when we got to the next lock, the gates were firmly shut in front of us!!! I just found it incredibly rude and unnecessary…. All their agenda was was lunch at Stanley Ferry. I just thought it a great shame that people would go all out to be rude. Late afternoon at Broad Cut. Stanley Ferry itself was as active as ever and the cruise to Fall Ings was calm and quiet in contrast. The afternoon wore on an without the blistering heart of recent weeks, the sun’s rays were welcomed. Late afternoon saw us at Broad Cut and the late summer afternoon enticed us further. By the time we moored up at 6.00 the evening could only be described as glorious and we found a perfectly sunny spot just above Figure of Three locks.